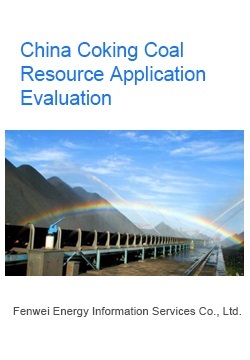 Fenwei Energy Consulting Co., Ltd., from the perspectives of resource quantity and application value, has conducted an in-depth study on 85 coking coal mining areas across China to find out their remaining mine life and coal quality characteristics. This report embraces Fenwei's research findings and draws a conclusion whether the nation's coking coal resources are sufficient to satisfy the demand from iron/steel industry, and how imported coal could influence the domestic coal market. With professional analysis and scientific prediction, this report is able to guide investors to choose best investment target, help coal producers learn their product strength and weakness to make precise market positioning and formulate adaptable marketing strategy, or help downstream coking plants to seek optimal coal sources to increase economic benefit.